When does the wonder of marijuana turn into the science of cannabis? The answer is complex and the focus of some of the most cutting-edge research worldwide. Here are some of the basics. The active compounds in cannabis plants are known as cannabinoids, or phytocannabinoids. We need cannabinoids to complete our basic human functions. They can be produced both synthetically and naturally, in the body. Natural cannabinoids made by the body are known as endocannabinoids. The body has many different cannabinoid receptors. They’re in the nervous, respiratory, circulatory and digestive systems, and even in our cartilage. One of the primary receptors that has been researched is known as CB1. We have many CB1 receptors in our brains. The receptors known as CB2 are more abundant in places like the immune system. However, both receptors are found throughout the body. 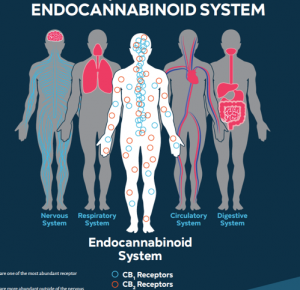 Collectively, these receptors are known as the endocannabinoid system. There are 100+ naturally-derived cannabinoids already identified in the cannabis plant. Two of the most well-known are tetrahydrocannabinol (THC) and cannabidiol (CBD). 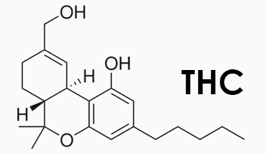 A compound, C21 H30 O2, that is the chief psychoactive component in cannabis preparations (oil extracts, formulated edibles, etc.). A compound that is one of the main constituents of the most common varietals of cannabis, having very little to no psychoactive effects. The benefits most associated with cannabinoids and endocannabinoid system is maintaining ‘stasis,’ or equilibrium within the body. Cannabinoids help your body stay in balance when it is expressing symptoms like physical pain and joint inflammation, as well as mental anxiety and depression. Other functions that cannabinoids influence are the regulation of appetite, memory, mood, and fertility. Certain endocannabinoids even contribute to euphoria from heavy cardio exercise, also known as runner’s high. Cannabis’ complexity aids the potency of its benefits. 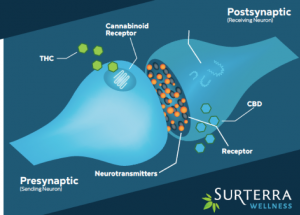 The interaction of various terpenes, THC, CBD and other cannabinoids lead to what researchers call the “entourage effect.” Various organic compounds interact synergistically, magnifying the effect of each component, which leads to medical and therapeutic results that are truly lifechanging.